Jessie works with staff across the country on a variety of river restoration and protection work— from advocacy and outreach to coordination with local communities to restore and protect their rivers and streams. 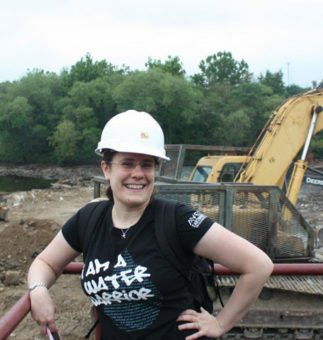 Since 2010, Jessie has also been managing our Most Endangered Rivers Program. Jessie joined American Rivers in 2010. Prior to that she worked for the Atlantic States Marine Fisheries Commission as their Habitat Coordinator. There she played a fundamental role in the establishment of the Atlantic Coastal Fish Habitat Partnership. Jessie also did an internship at the Natural Resources Defense Council where she focused on the reauthorization of the Endangered Species Act.